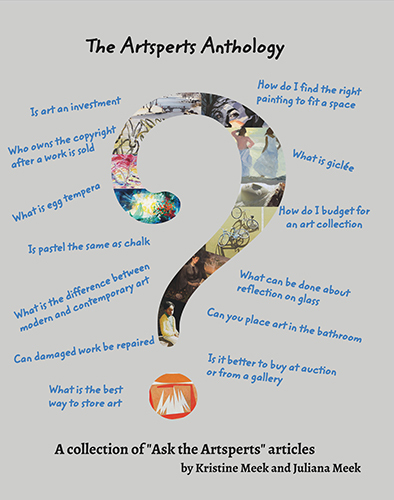 Frequently Asked Questions - "Ask the Artsperts"
The following are links to the "Ask the Artsperts" articles written by Kristine Meek and Juliana Meek, owner-directors of Harmon-Meek Gallery and Harmon-Meek|modern, respectively. These articles have been published in "Life in Naples" Magazine since January 2014, and are based on genuine questions. We answer questions using an advice column format in a fun and informative way. We hope you enjoy reading these articles and continue asking questions! click on each topic for a pdf of the article. Is Oil on Canvas Best?